Shopping local has become one of my favorite things in recent times. Here in Owosso, so much has come to life in the past few years. Our downtown is literally bursting with new business and looks nothing like it did a few years ago. It’s exciting to see so many people investing their time and talents in small towns like Owosso. I used to shop mostly out of town for the majority of my home and personal needs. Now I can find clothing, home goods, coffee, and several quality restaurants all within a few blocks of each other! Being a mom of a busy toddler, I find myself searching for as many ways to stay local as I can. Nothing is worse than dragging an over-tired tot all over the place. Shopping local has it’s perks and no one appreciates it more than me. 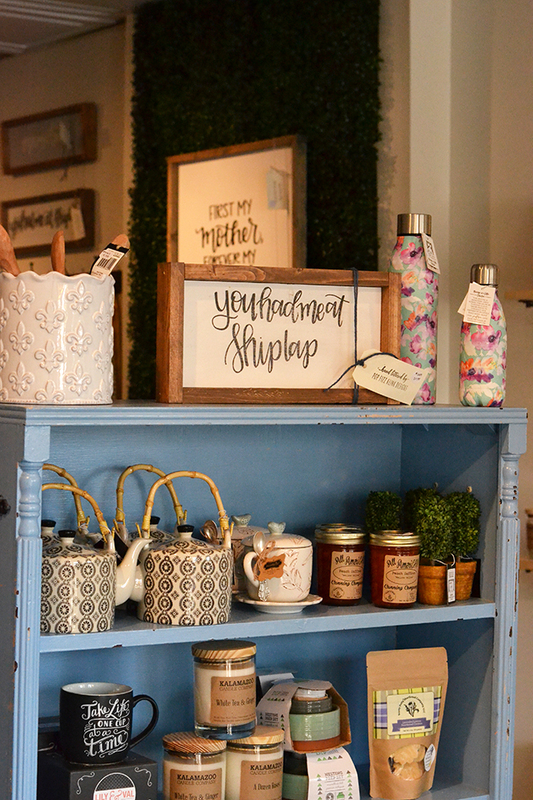 Today I’m sharing a few of my favorite places I frequent here in Owosso. And most of these establishments have just opened within the last year or so! Exciting. 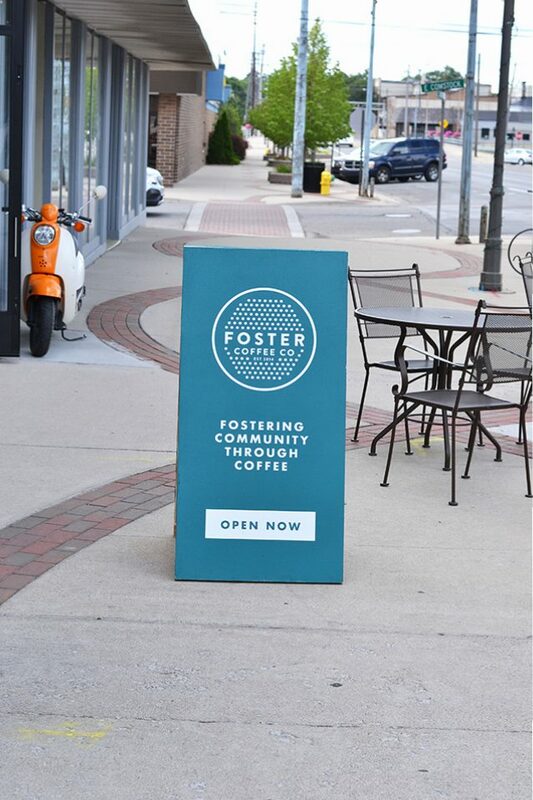 Foster Coffee – Hands down, one of my most favorite places in Owosso. 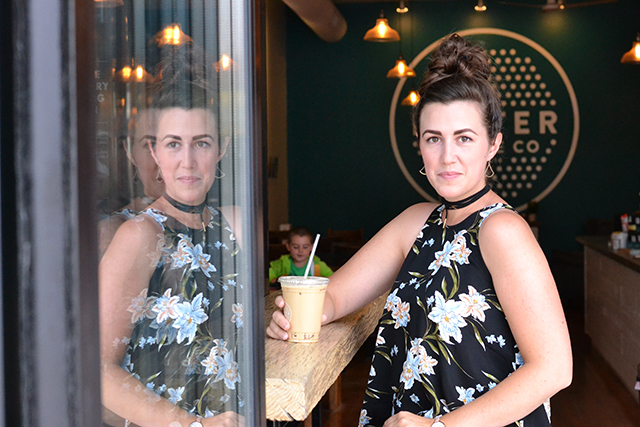 Foster Coffee is my home for meetings, coffee dates, and more. I’ve spent many hours in this place and it feels like family. I can rarely get out the door in under a half an hour so I make sure I have time to spend there when I go. They serve amazing specialty drinks and just installed a new roaster in the basement of the establishment! It’s a must-do when you’re in Owosso. 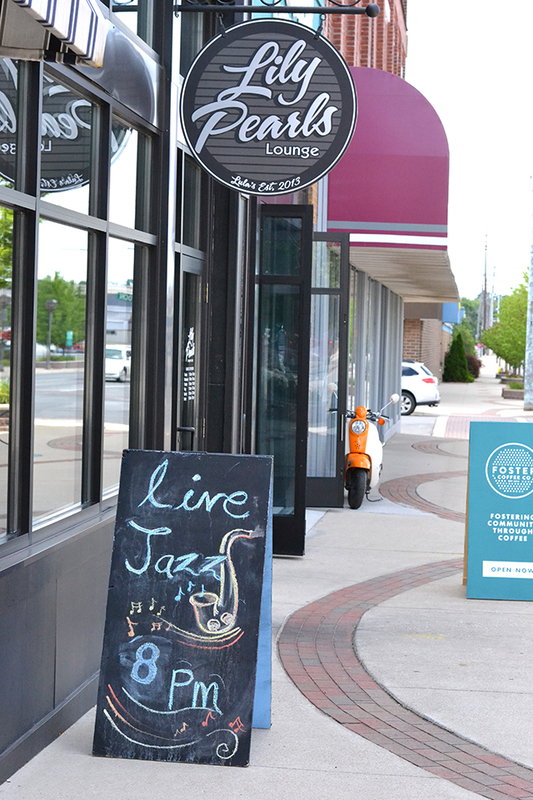 Lilly Pearls Lounge is a newcomer to downtown Owosso. 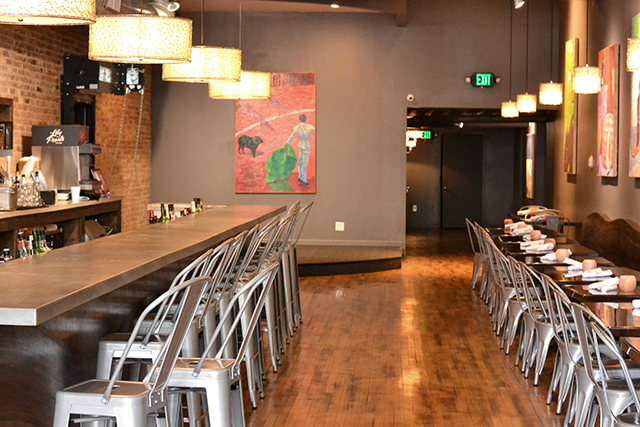 An addition to Lula’s Louisiana Cookhouse, they offer live jazz, specialty cocktails, full menu, and a super great atmosphere! 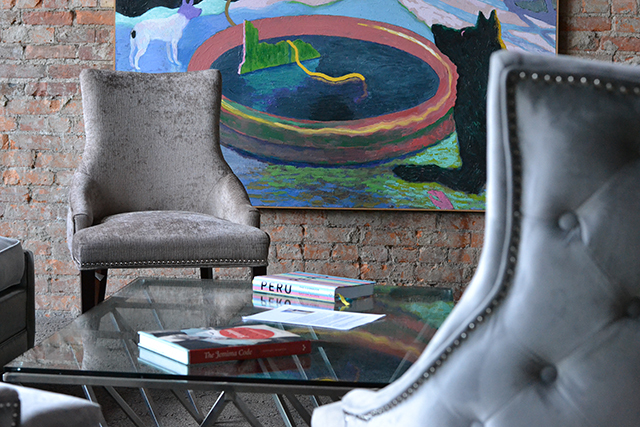 One visit and you’ll be hooked. 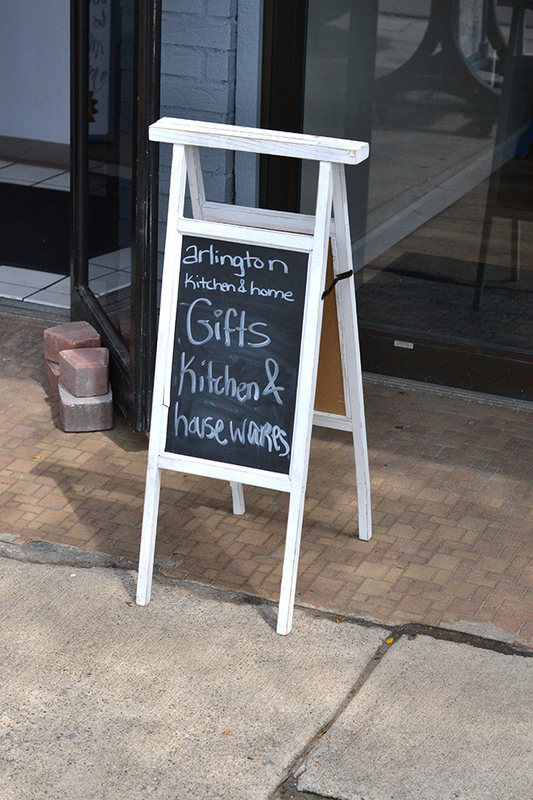 Arlington Kitchen & Home is brand new to Owosso this year and it’s absolutely one of my favorite stores in town. They pack so much goodness into this place, it’s unreal. 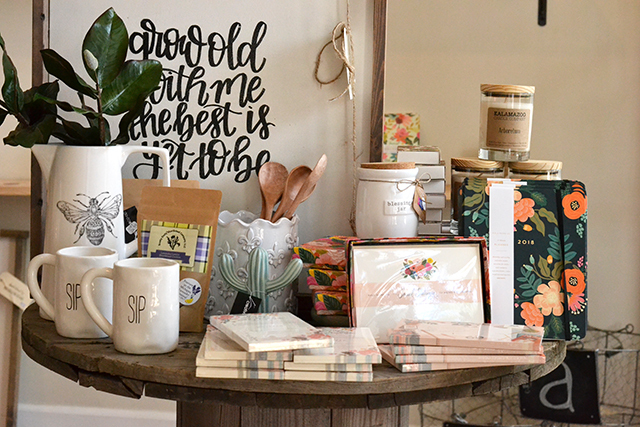 They carry some wonderful brands including Rifle Paper Company and Mud Pie. 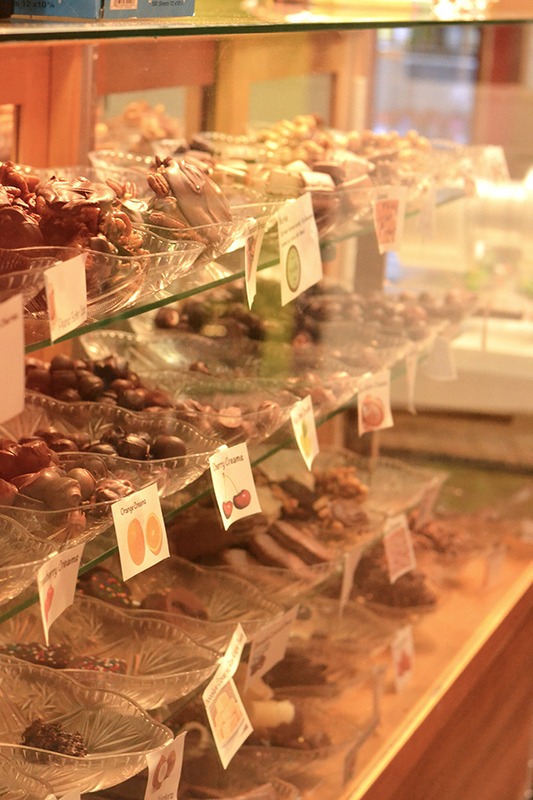 Murtle’s Handmade Chocolates is my go-to place for all things chocolate and sweets. 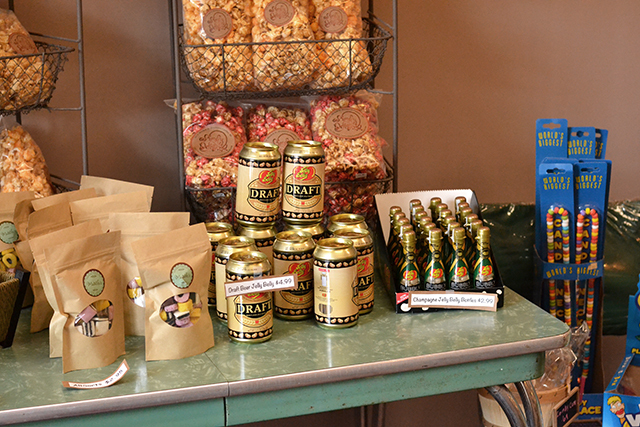 They carry all the best things- turtles, truffles, licorice, gourmet popcorn, and a huge selection of vintage candies. Their turtles are legendary! So dang good. 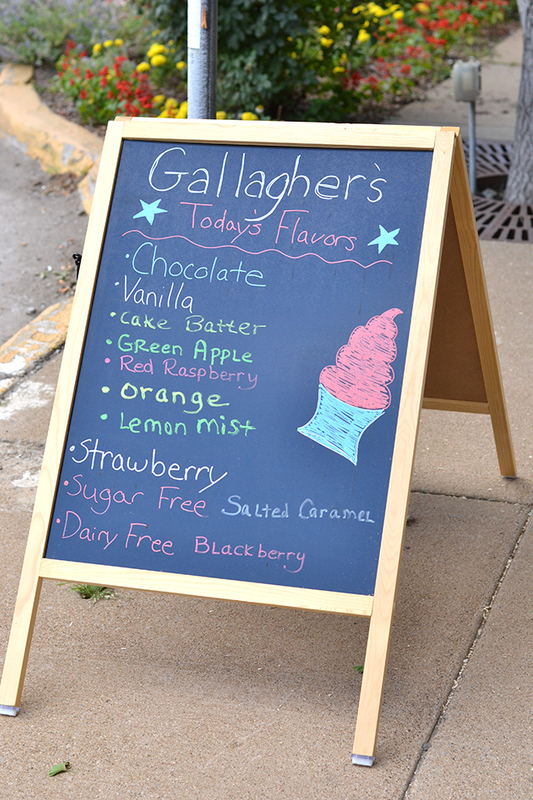 Gallagher’s Frozen Yogurt is an exciting new addition to downtown Owosso. I kept hoping someone would open a froyo place and this year it finally happened. On a hot summer day, there’s nothing like a heaping bowl of frozen yogurt to cool me down. 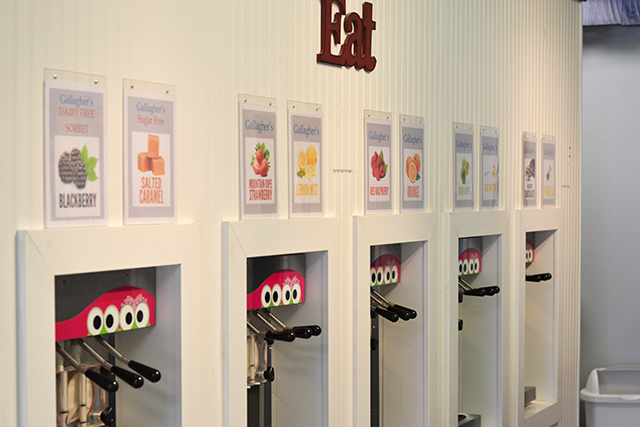 Froyo isn’t just a treat, it’s an experience. I love being able to whip up my own concoctions and add all the toppings I want. So fun! Also, they have a great kids area which is a huge bonus for parents. I have a whole new appreciation for businesses that are kid-friendly now that I’m a mom. 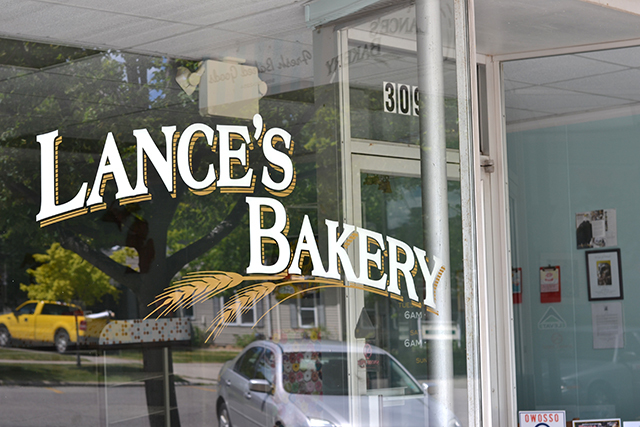 Lance’s Bakery – I doubt you’ll meet anyone in the Owosso area who hasn’t had a doughnut from Lance’s. 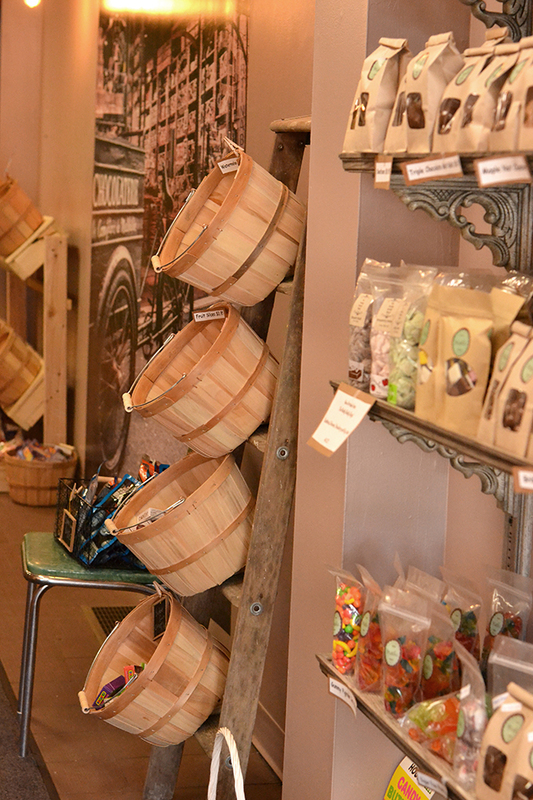 They won the award for ‘Best Bakery in Mid-Michigan’ and it’s not hard to see (or taste) why. They’re famous for their maple triangles but my personal favorite is their cinnamon roll. We get Lance’s doughnuts almost every Saturday morning and we love that tradition. 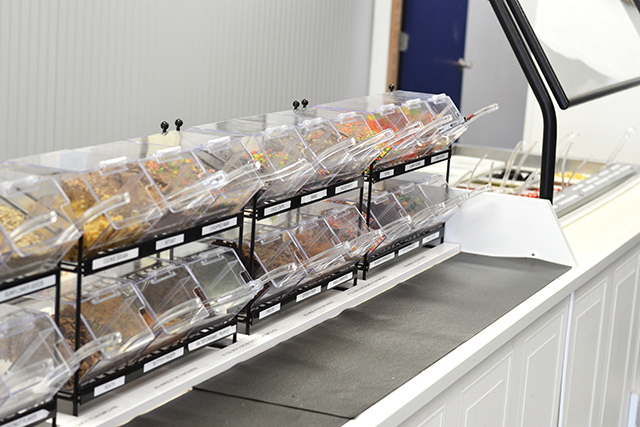 Make sure you grab a box if you’re visiting the Owosso area. 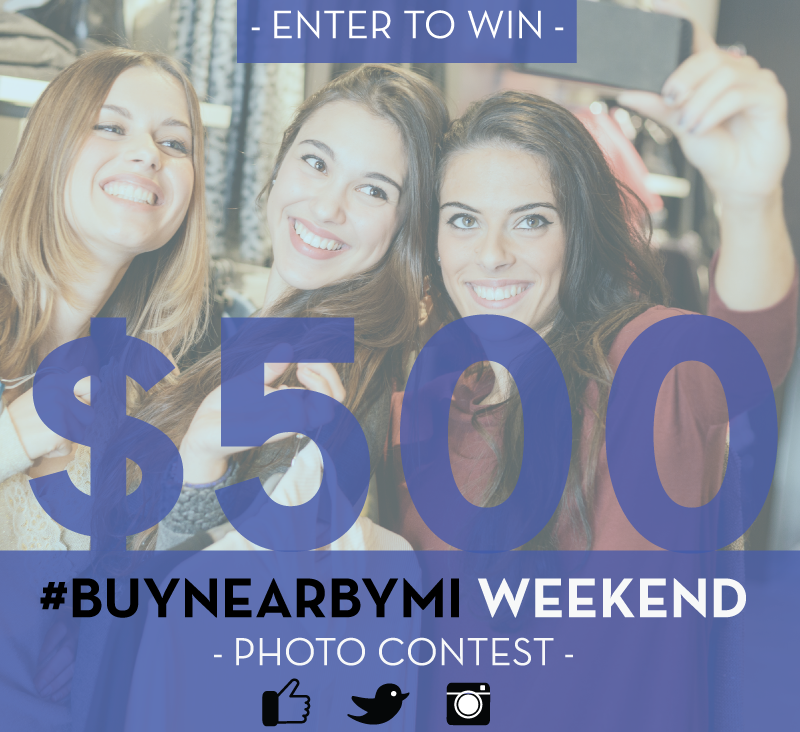 If you love shopping local like I do then mark your calendars now for the first weekend in October for I Buy Nearby Weekend 2017. 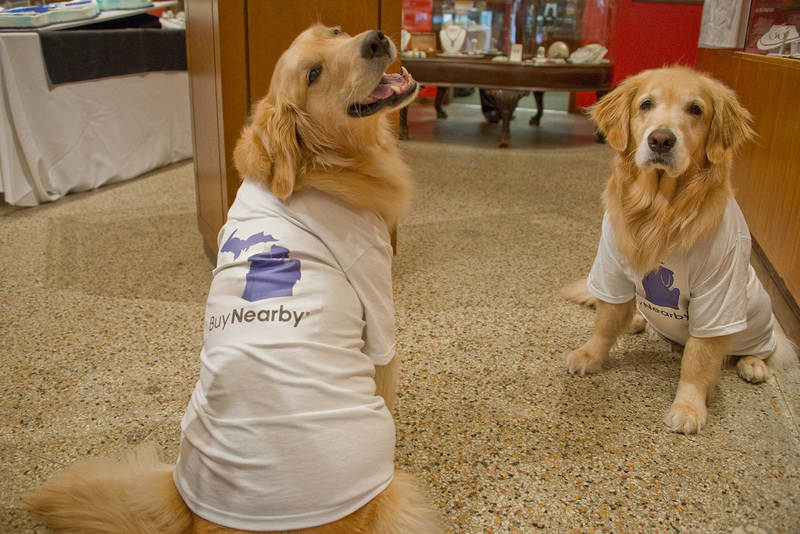 Buy nearby any day that weekend (October 6,7, & 8) and post a picture of your shopping excursions on Facebook, Twitter, or Instagram with the hashtag #ibuynearby to be entered in a contest to win a $500 gift card! 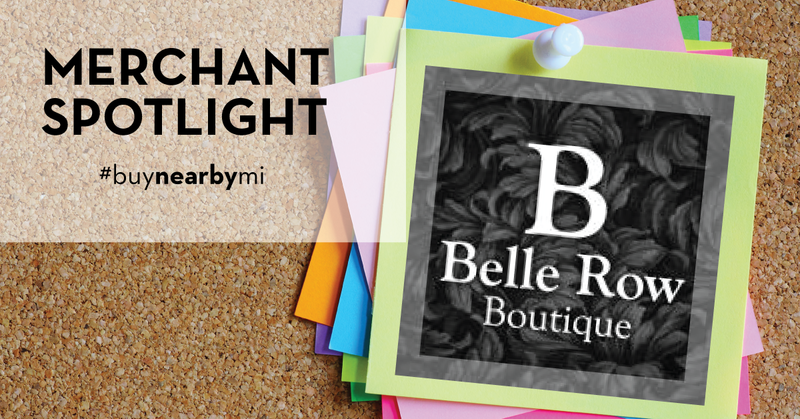 I hope you’ll visit Owosso soon and spend some time discovering all of the great downtown businesses we have to offer!